The Indian U-17 team has seen some major changes in the last few weeks. After a grueling and poor tour in terms of performances in Russia, the team saw Nicolai Adam being sacked. Several reports have suggested that the team wasn’t happy with the way he was treating the players and they complained about his behavioral and physical abuse. In a report exclusively published by KhelNow.com, sources close to the developments had informed that as many as 21 players of the U-17 squad had written to the federation confirming physical abuse by the manager. The players further stated their disillusionment with Adam's methods and refused to play under him. It is learned that his splintered relationship with the players, a sequence of poor results and a general lack of direction in the lead up to the U-17 FIFA World Cup made the German's position untenable. Sacking a coach 8 months prior to a World Cup, that too hosted by the same country, is never a positive sign. The All India Football Federation is currently looking for a new coach to replace the German, and it will be interesting to see the incoming coach takes the Adam-vision ahead or tries to revamp the team in his own way. The AIFF is seemingly looking at father-figured coach who can work with compassion and a sense of togetherness, rather than strict dictator-ship. Looking at the previous manager who earned 12,000 euros per month, no real coach may look like a long rope for the AIFF. 1. Goutam Ghosh: If there’s one Indian coach who knows the team inside out, it’s the very passionate coach from Bengal. Goutam has given his entire coaching career to youth ranks. He headed the IFA U-16 Academy from 2009-11, was the assistant coach of AIFF U-17 Youth development from 2011 and was made the head coach of AIFF U-14 Regional Academy way back in 2012. With such diversified experience in Indian youth ranks, Ghosh has invariably worked with most of the players at some stage in his journey. Known as a hard-working, meticulous coach, Ghosh is very passionate about the game and is one of the better known names in Indian football. Ghosh had won India the U-16 SAFF Championship in 2014, underlining his credentials. Goutam Ghosh has always had positive effects on any team he’s coached. The U-17 team needs someone like him who has enough experience working in Indian conditions and yet, grinding results. The man from Bengal has always lived up to expectations and would take the job like fish to water. Goutam is highly regarded in Indian youth football coaching and is the only Indian on this list because of his qualities. Goutam has already brought to fore several Indian talents like Jerry Lalrinzuala, who won the Emerging player of ISL season III. Alongside Jerry, Goutam has also worked with Anirudh Thapa, Bodo, Prosenjit Chakraborty and Bedashwor Singh and formed a brilliant team at the U-16 level. 2. Carlos Queiroz: One name which has been doing the rounds in inner Indian circles has been former Iran coach Carlos Queiroz. Carlos is one of the stronger coaches in the world technically, having always been a hands-on coach with managing players’ and training sessions. The Portuguese coach has been Sir Alex Ferguson’s at Manchester United and have seen and transformed a lot of academy graduates into first-team regulars. The Indian U-17 team doesn’t needs him to do exactly the same, but preparing youngsters for a big and major battle is what comes in handy from his vast experience. Having also coached Real Madrid in the Galactico era, he surely knows how to keep attitudes down and extract hard work from his players. 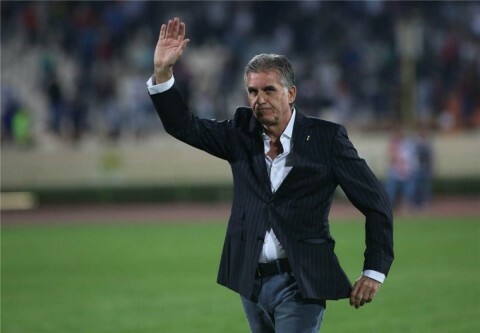 At 63, Queiroz is easily one of the most experienced coaches who are available. What gives him a slight edge over others is the fact that he has coached Iran, another Asian country and knows the conditions better than other European or South American coaches. Three teams have qualified for the FIFA World Cup under him, those being South Africa in 2002, Portugal in 2010 and Iran in 2014. Portugal being the best, the other two were commendable jobs. A little conviction and a free-hand to change things his way might just be the trick to get the heavily-capable Portuguese on board. 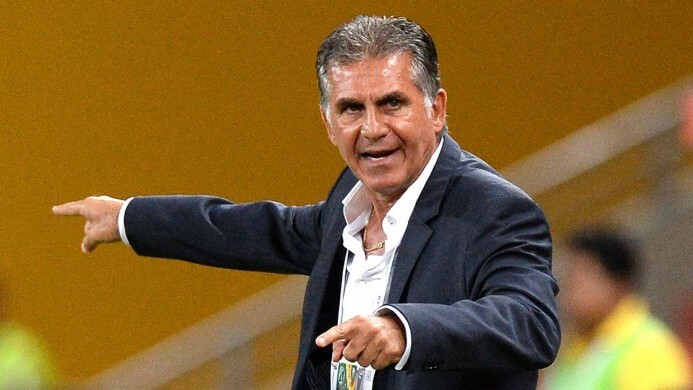 If India gets Queiroz for the World Cup, they can be assured of good performances. Queiroz has always been up for challenges throughout his life, but is he listening to this one? 3. Jurgen Klinsmann: The German is one of the most capable available coaches in international football right now. Klinsmann has coached the German and US national football teams and Bayern Munich in the interim period. The US-based former German striker is known as one of the finest and most clinical strikers of his time and in 2004, was named in the FIFA 100 list of the “125 Greatest Living Footballers” of all time. Klinsmann has been out of work since November 2016 and with no real challenge ahead of him, a crash foray into youth football can do the attacking coach a world of good. Klinsmann has always been a thorough professional and changed the ageing German side which failed at Euros 2004 to a young, hungrier side for World Cup 2006, a team which got the third place. Klinsmann made players like Bastian Shweinsteiger and Lukas Podolski house-hold heroes and have never looked back ever since. Known for his ever-attacking approach in the game, Klinsmann surely has a lot of give to Indian football. His likeness for youth is well-documented and although it looks difficult getting him, the right kind of offer just might do the trick for the former Bayern Munich coach. In between debuts of Patrick Kluivert and Marcus Rashford, there’s been a gap of 22 years and at least three dozen players have been given their breaks, all by one Dutch, who believes in his philosophy. 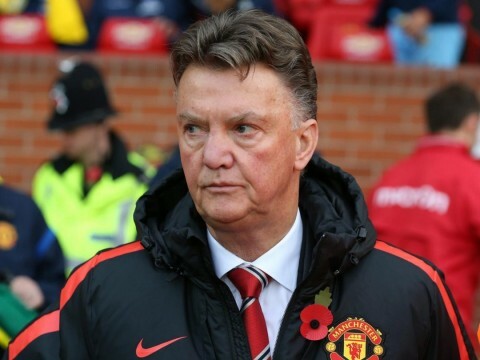 Having coached at Ajax and Barcelona, van Gaal surely has an idea of the two most talked about footballies techniques – total football and ‘tiki-taka’. LvG has always been held in high regard by one of the finest footballers in the world, including Andres Iniesta and Xavi Hernandez. He is free these days and bringing him in can be a coup of sorts for Indian football. For a man who’s won everything there’s to be won at the club level, van Gaal should now turn a new leaf and start grooming the younger generations, as he has passed on his knowledge to some current managers on the roster. We understand it is difficult and almost impossible, but there’s still an outside chance if the right offer is made to the 65-year-old former Netherlands national manager who led them to third place at the 2014 World Cup. LvG can be one of the most influential men who can take over this team and inspire them to something special in eight months. 5. Bhaichung Bhutia: Bhaichung has been the trouble-shooter for Indian football on a number of platforms, so why not this? If there’s no real alternative for the coach, Bhutia can play the role of the U-17 coach with aplomb. The former National captain will be a complete role model for the players who would be gearing up for a World Cup in 8 months’ time. Bhaichung had been the care-taker manager of United Sikkim football club in 2012, but has first-hand experience of working with kids at his own Bhaichung Bhutia Football Schools, a wide network spread throughout India which consists of about 2 million Indian kids. Bhutia is easily one of the stalwarts in Indian football and working with him is only going to help the U-17 team. The Padma Shri awardee is the only Indian to be inducted in the Asian Hall of Fame in 2014 and would be God’s gift to the Indian colts. After a disastrous tournament in Russia where the team lost 8-0 to the hosts, Bhutia, with his vast experience, can be one of the few men who can turn this around and take the team ahead after the infamous Nicolai Adam saga. Bhutia is the head of AIFF Technical Committee and has enough supporters inside the federation to provide him the right kind of support he needs. For other such interesting articles and insights on Indian football, click here!